Options volume in VXX (iPath S&P 500 VIX Short-Term Futures ETN) surged to their second highest level ever on Friday, with 344,777 contracts trading and put volume (56%) outpacing call volume (44%) by an unusually high margin. 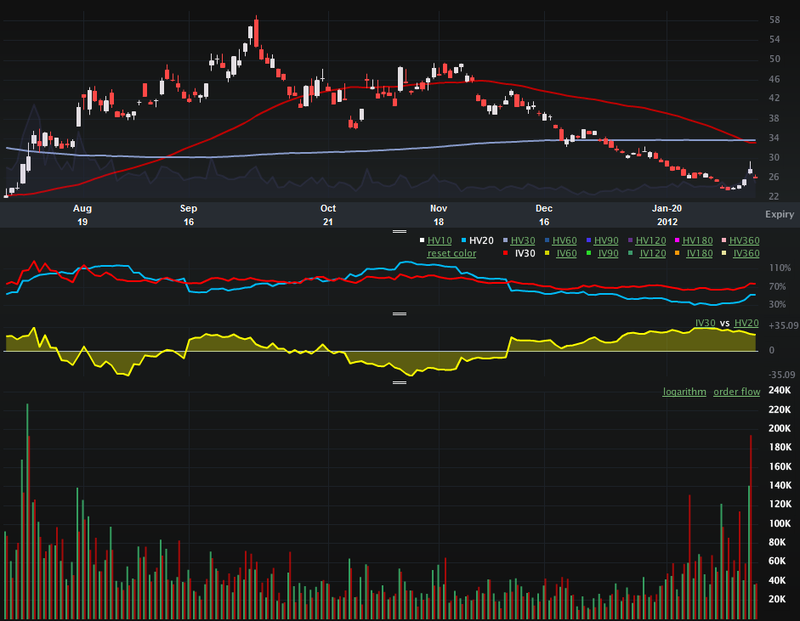 The chart below shows the options activity in VXX going back to the beginning of August 2011. Note that record options volume in VXX dates from August 5th and occurred just before VXX spiked from 30 to the upper 50s. On that day and most of the other high volume days in VXX options the calls (green vertical bars on bottom portion of chart) saw more action than the puts (red bars), as investors were most likely betting on an increase in volatility – or hedging against that potential scenario. Friday’s volume was unusual, just as it was on January 26th, in that put volume dominated. On balance, traders generally buy and sell more VXX calls than puts. In today’s session, so far the volumes in VXX options are much lower than they were on Friday and the activity in puts and calls is balanced and relatively calm. This is not to say that VXX options investors are particularly prescient and should not be considered contrarian sentiment indicators. Instead, I am merely suggesting that there was no panic in Friday’s VIX spike. In fact, the rumor I heard (via a commenter on the blog) that makes the most sense is that someone who had a position consisting of VIX futures, SPX straddles and the TVIX ETP (and supposedly about 90% of the open interest in TVIX) had their position liquidated by a clearing house – and some of the banks that got wind of what was going on were able to front run that move. Take it all with a grain of salt, but that kind of scenario is a good fit for the prints I saw and the facts as we know them. 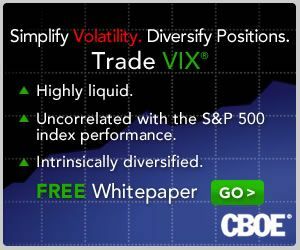 Finally, keep in mind that the February VIX futures and options expire at Wednesday’s open. February VIX options are last traded tomorrow, while the February VIX futures are last traded in Wednesday’s pre-market session, from 8:00 – 9:15 a.m. ET.